You can track MailChimp analytics on any MailChimp email that your account generates in two ways: by adding each email as its own project, or by enabling PlanITPDQ to import recent emails as projects automatically. 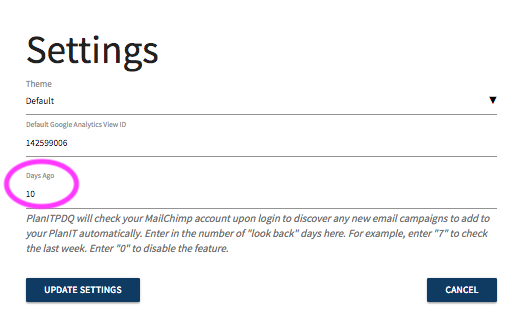 You must first connect MailChimp to your PlanIT via settings. Make sure that you have created your PlanIT using the same email address that you have used to create your MailChimp account. Click on the Settings gear in the upper right hand of the PlanITPDQ navigation bar. For automatic creation of projects from Mailchimp, choose the number of days you would like to “look back”. For example, if you want PlanITPDQ to check for new email campaigns within the past 10 days, enter 10. Scroll down to Integrations, select MailChimp, and follow the instructions. The next time you open your PlanIT, it will conduct a look back and provide you with a list of emails you can automatically add. Enter the name you’d like to display on your PlanIT. Enter the MailChimp Campaign Archive ID. 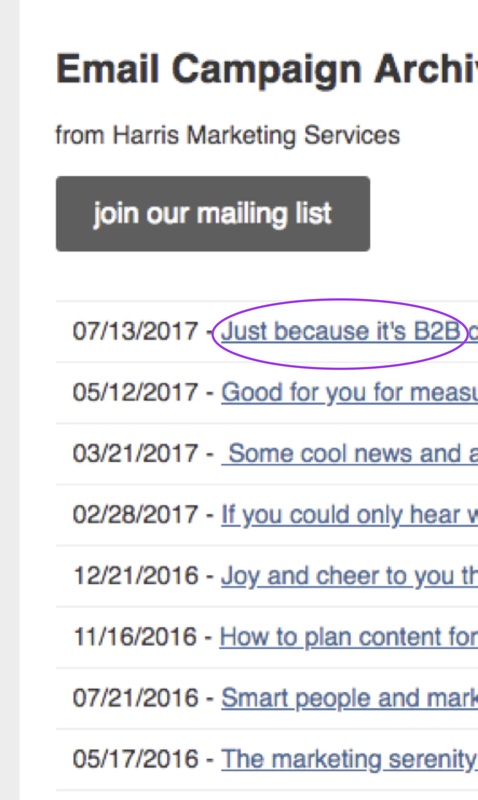 You can find this by going to your MailChimp account, selecting any sent email campaign, and clicking on the down arrow to the right of the “View Report” tab. Select “View Email”. Click on the Past Issues tab in the upper left of the navigation bar. Select the email campaign you want to track and copy the URL. Scroll down and click on the blue ADD button. When you want to check your stats, simply click on the project in your PlanIT timeline to see the MailChimp opens and clicks. That’s it – Easy!